The 77” Easy Ride ADA compliant platform lift by Freedom Lift Systems is designed to be installed in commercial and public buildings to meet your accessibility standard codes. Our commercial wheelchair lifts are user friendly and easy to install. 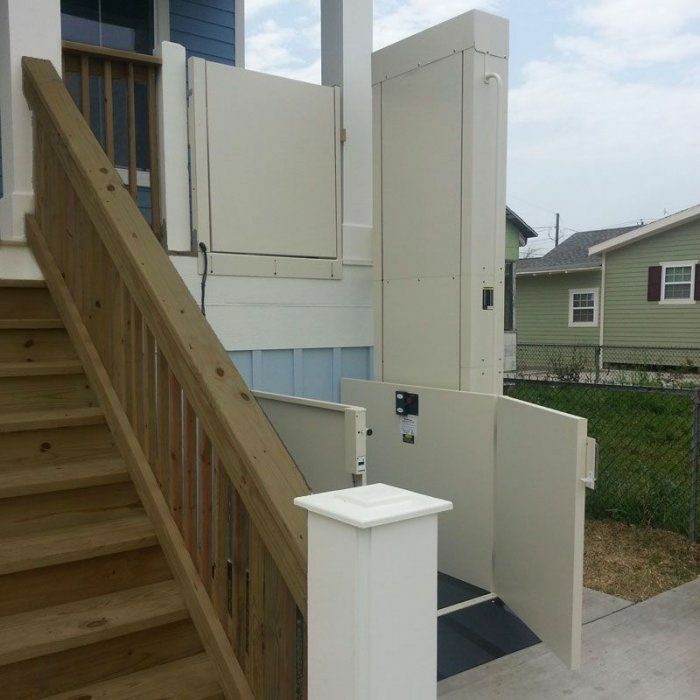 Businesses and organizations looking for exterior wheelchair lifts will find the Easy Ride lift has a sturdy, durable weather resistant design. Our commercial wheelchair platform lifts meet ADA and ASME 18.1 code requirements. However many communities also have state or local accessibility codes enforced by local building inspectors. For example, if your travel height is over 60” your handicap elevator lift may need to be installed in a shaft to meet code. If you let us know what those additional features and requirements are, we can usually accommodate your specific needs.